Kids are active and careless. While they look cute in glasses, they also often drop their glasses, sit on it and it constantly slip as they run about. Their developing nose bridge is not yet high enough to support the glasses when looking straight and the slipping becomes worse when they look down. For kids attending schools, slipping glasses may also cause fatigue as the lens are not positioned properly resulting in defocus image. There are three main considerations to look out for in kids frame. The first is the material, the second is the nose pad/bridge and lastly the temple tip. Plastic is generally the material of choice. Advances in plastic materials have led to light, strong and flexible plastic frames. Two of the most common frame materials with this properties are Ultem and polyamide (eg. TR-90). A drawback of these materials is that they are not as responsive to bending compared to conventional acetate. However, if these frames are fitted with a metal core temple tip, this issue can be mitigated. An Asian fit nose pad which is deeper will help to sit the lens further from the child's eye, away from his/her eyelashes. It will provide some support to reduce slippage especially if it is made of silicone or rubber. For younger kids, a saddle bridge nose pad will provide more contact surface and may even sit on the nose to provide support. In some glasses design, frames for the very young have a nose bridge that is lowered such that the nose bridge of the glasses are sitting on the nose. This works like saddle bridge nose pad except it is built into the frame. 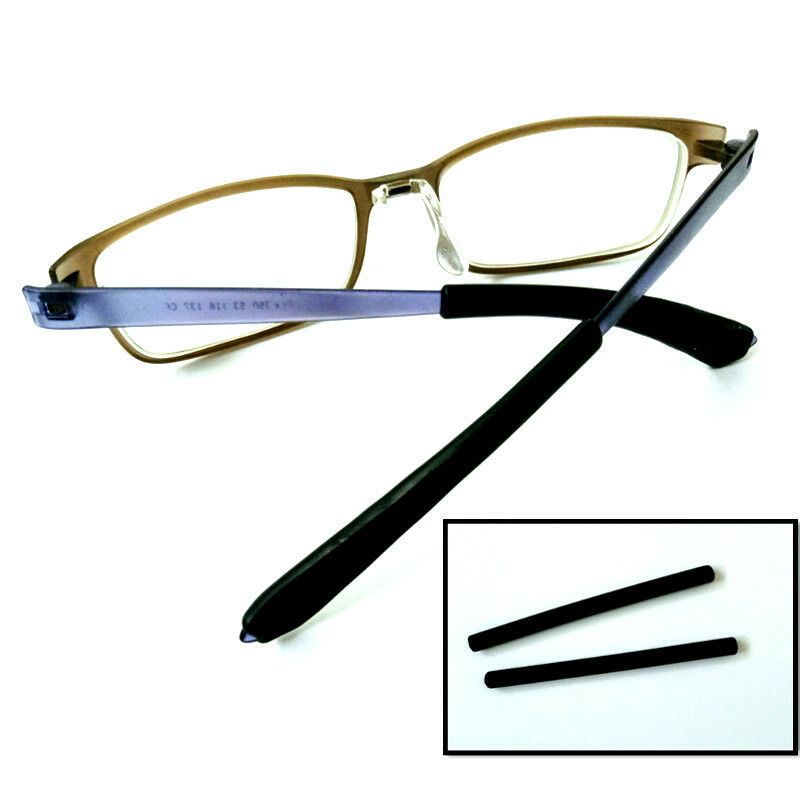 In terms of reducing slippage, the glasses temple is the main part providing the support. A demonstration by Beta-Simplicity showed that the size of the nose and its bridge have little impact on glasses slipping when looking down. Instead, it is the temple tip that provides the required support. 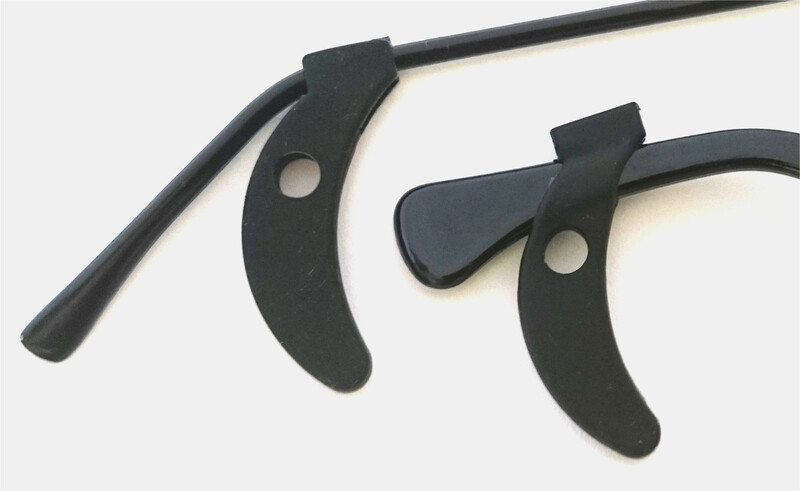 Accessories such as temple earhook can be fitted into the glasses temple if the glasses keep slipping. Of course, it is better to select glasses with good built-in temple support. 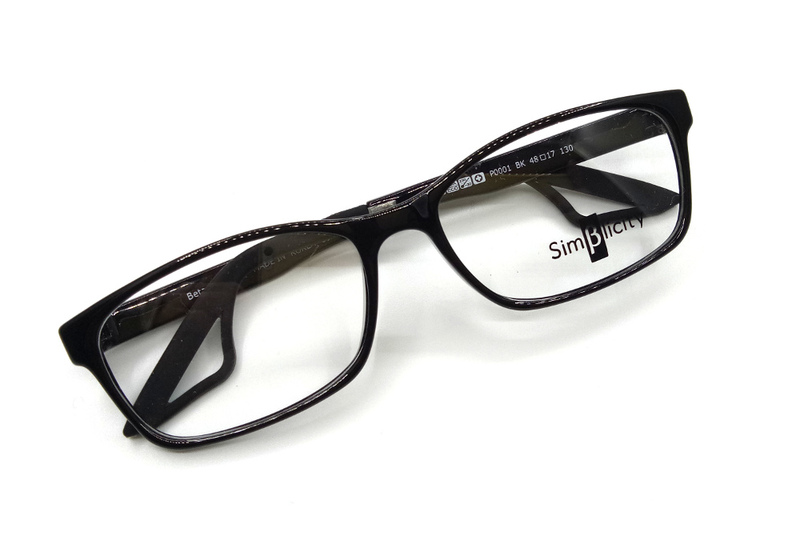 Active Eyewear Frames from Beta-Simplicity, comes with an anchor tip that is made of soft elastomer. Glasses specializes in kids frames often have models that feature the cable temple design. In this design, the temple tip curls down the back of the ear to the earlobe. 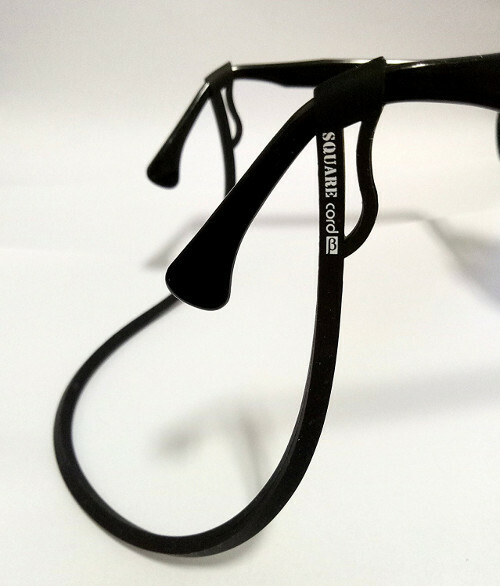 Such design provides the greatest support as it does not rely on friction to hold the glasses in place. However, the cable temple tip may be uncomfortable as it may squeeze the user's ears. Some design seek to reduce the pressure by having a slot at the temple tip but the temple tip needs to be sufficiently sturdy to hold the glasses. Thus, the reduction in pressure may not be sufficient to eliminate soreness on the ears. Beta-Simplicity have developed glasses with dual action support concept. The dual action support comes from the friction from the temple on the side of the head and its unique anchor tip design that provide mechanical support on the back of the ears. First, the temple is sufficient stiff and its tip, made of high friction elastomer such that it exerts a friction hold on the side of the head. The anchor tip design features a hard, sturdy back and a soft contoured loop at the front where it touches the back of the ears. This provides sufficient rigidity to gain mechanical support from the back of the ears but does not hurt where it touches. Unfortunately, at the time of writing, their frame sizes are more suited for kids age 10 and above. Selecting the right frame for kids is a challenge. Apart from its look, the main challenge is to stop it from slipping down the face of the child. Their non-existing or low nose bridge does not provide sufficient support for the glasses even when they are looking straight. Further, most children are active and their perspiration will cause most glasses to slip down their nose. While cable temple design provides good mechanical support form the back of the ears, it is also uncomfortable for most children. 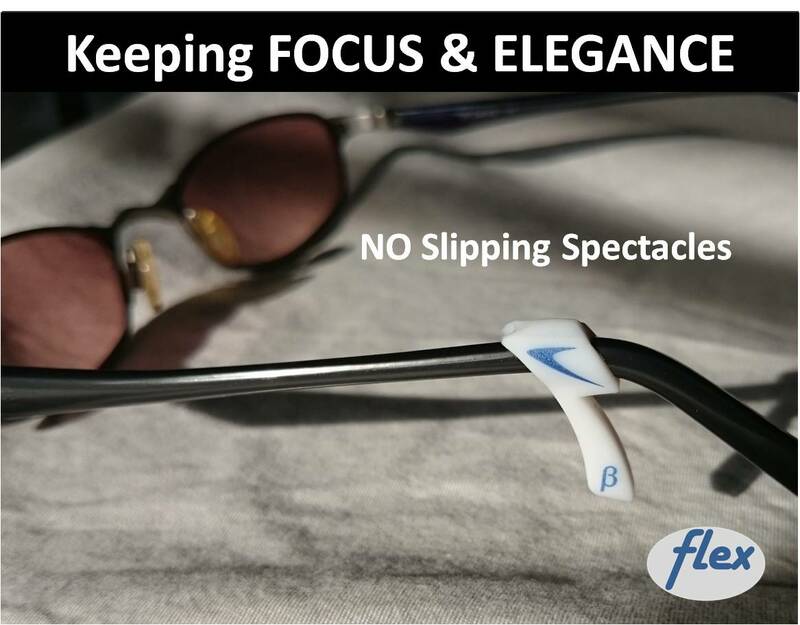 With the hybrid cable design from Beta-Simplicity, there is now a frame that is comfortable with good anti-slip function. Most eyeglasses frames in the market are susceptible to slipping as they are not engineered to tolerate movements or lowering of your head. This may reduces the effectiveness of treatment using multifocal eyeglasses such as Myopilux as the user is not looking through the correct area on the lens. Slipping glasses is one of the most annoying and common issue faced by its users. From an engineering perspective, most glasses frame design is mechanically unstable. 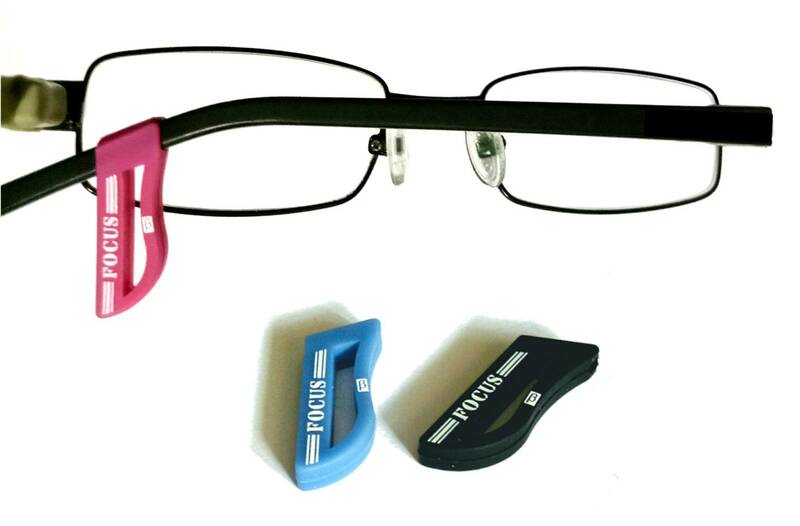 Here is the top ten solutions to stop glasses from slipping. 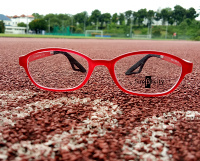 When it comes to exercising with glasses, the often asked question is how to keep glasses from slipping when sweating? There are some simple and easy solutions to this common problem.